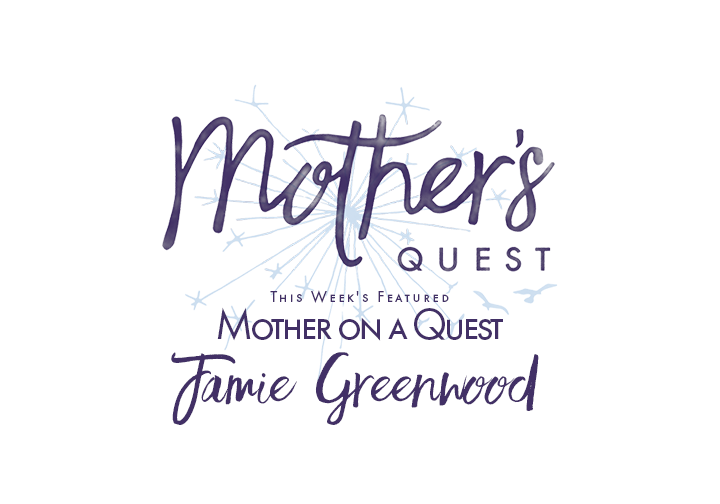 Jamie Greenwood is the founder of JamieLiving.com, where driven, soulful women come for real talk and deep love to compassionately reconnect with themselves. 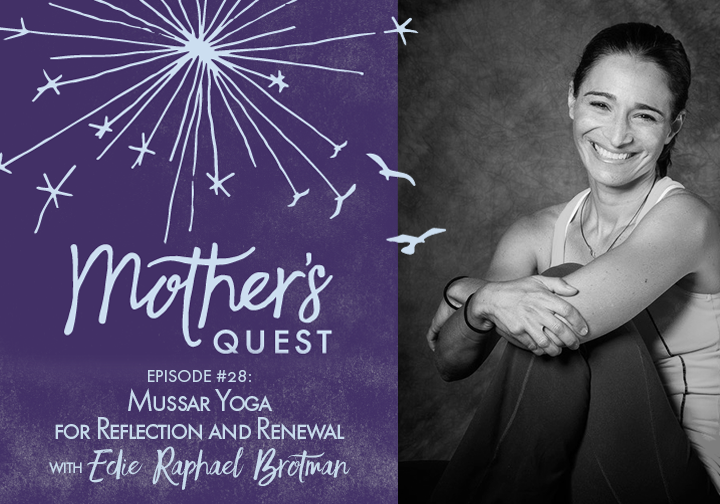 Her passion is teaching clients how to deeply listen to their bodies and come back to center for greater presence, peace and power in their lives. 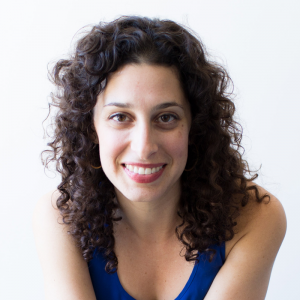 Jamie is a featured presenter and speaker for companies across the US and her writing has been featured on MindBodyGreen, Tiny Buddha and The Huffington Post. She’s also the creator of Just F*cking Journal, a 6 day digital experience to write your way to calm, clarity and inspired action. When she’s not writing, coaching or speaking, you can find Jamie cooking and laughing with her family and dancing wildly in her living room. My mother is pure love and optimism. She loves babies, animals, chocolate, wine, nature (basically everything) and can find the good in all things. So I grew up with these two ideas that 1) there was so much to love about life and 2) that even when life gets hard it’s always advisable to choose happiness and find the silver lining. I used to find it annoying that she never had anything bad to say but now, as an adult, I’m eternally grateful for her instilling optimism and love as guiding principles in my life. There have been many spark moments for me but my first came at 17. I was battling an eating disorder and my mother came into my room, slowly lowered herself onto the end of my bed and said, “I’m not sleeping because you’re not eating. What can I do to help you?” I had no idea my anorexia was harming anyone, let alone my mother and I couldn’t stand the thought of her losing sleep over my struggles. 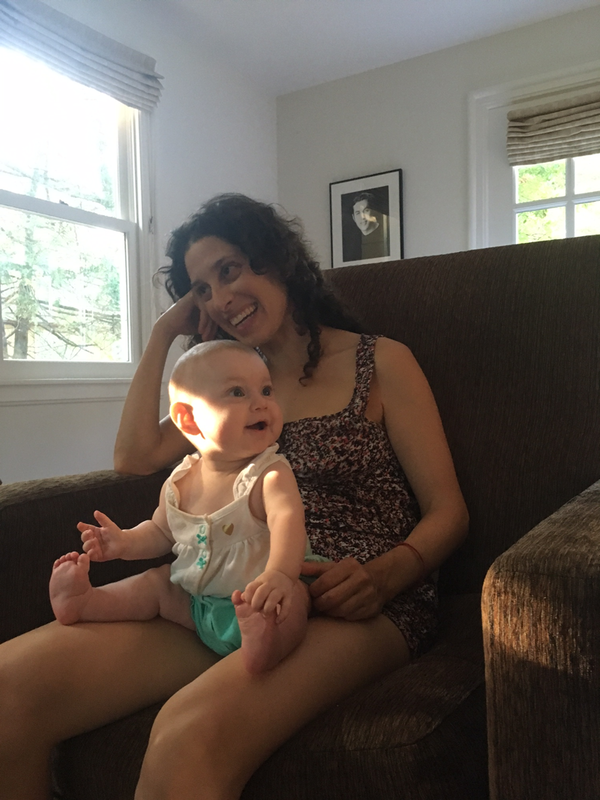 The next day I found a therapist which set me on my path of healing my relationship to my body and laid the groundwork for my work in supporting women to reconnect to their bodies and their lives. My passion list is long. I’m passionate about truth and food and understanding and dance. I’m passionate about change and forward motion and being right here, right now. I’m passionate about women’s rights and human rights and the ability we each have to find center in our bodies and the innate wisdom within. My purpose is 1) to be a catalyst for reconnecting to our truth 2) to support women and men to expand their capacity to feel and experience all that life offers and 3) to remember the joy along the journey. I’m currently reading Becoming Wise by Krista Tippett and listening toEsther Perel’s Where Should We Begin. Life is not a race but an epic experience and I’m exactly where I need to be. 1) Do one daily act of soul care. (Self care nourishes your outsides, think pedicure. Soul nourishes your insides, think painting, dancing, writing.) 10 minutes a day is enough to start the reconnecting process and aid in you remembering your wisdom, truth and joy. 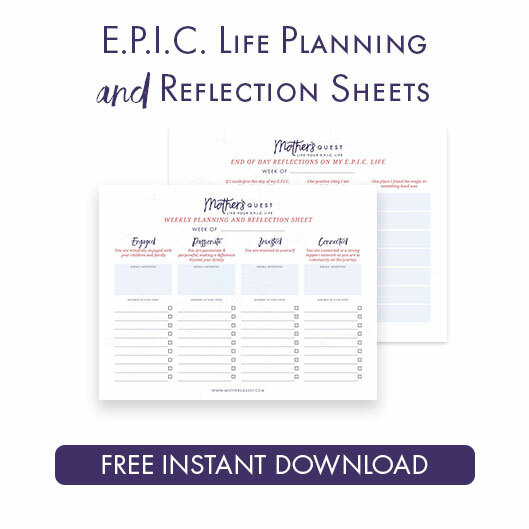 To get your soul care jump started, join me for my FREE class, Just F*cking Journal, and together we’ll write our way to calm, clarity and inspired action. 2) See if you can let the body you are in, the body that made and birthed your babies, the body that stretched and grew and recovered, see if you can let her be all that she needs to be today. Can you let the body that’s here right now be enough in this moment. Julie was in a power circle I facilitated. I love Julie’s inquisitive nature. She always asks the right question at the right time. I also appreciate the depth and scope of the Mother’s Quest mission. Mothers are so much more than just caregivers though that care absolutely affects and shapes our lives. 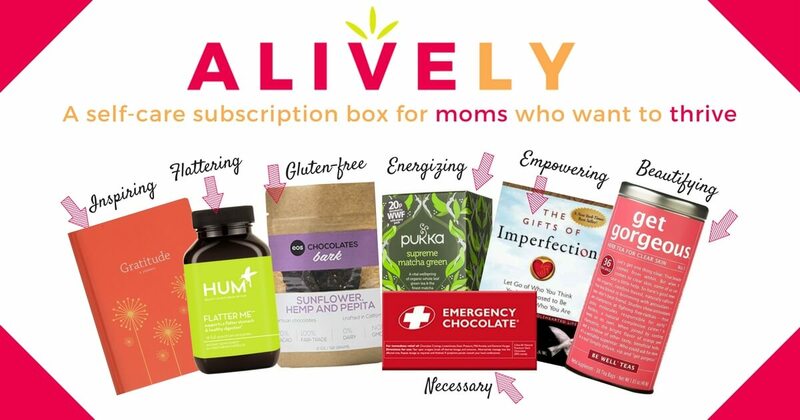 Julie has created a movement where every mother gets to show up and be her full self. 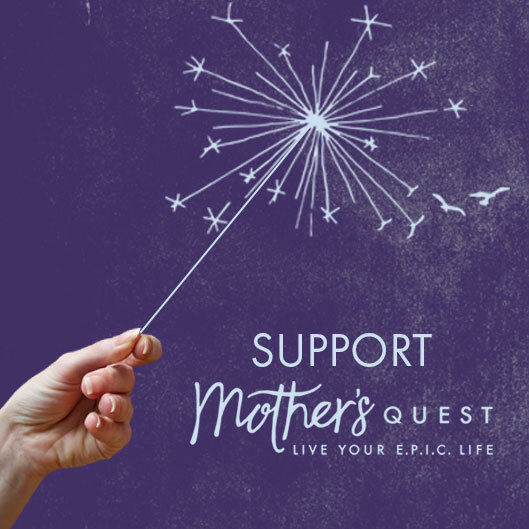 Nothing needs to be left behind and in fact, Julie has structured Mother’s Quest so that it’s our many parts that inform and inspire our EPIC lives. It doesn’t get much better than that! 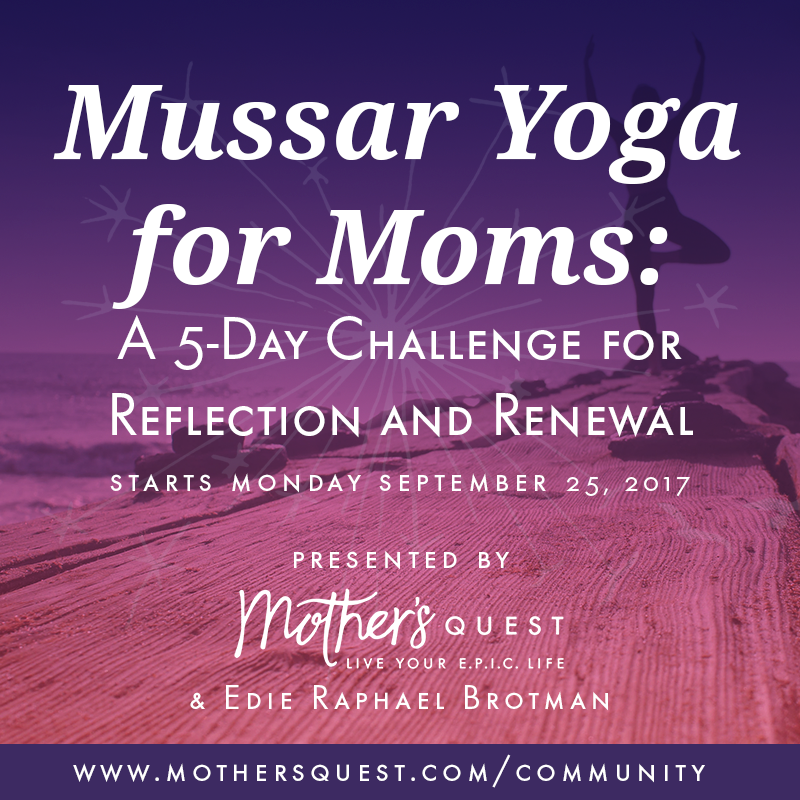 First Review of Applications starting on September 10th for the MOTHER’S QUEST CIRCLE Pilot happening FALL 2017. 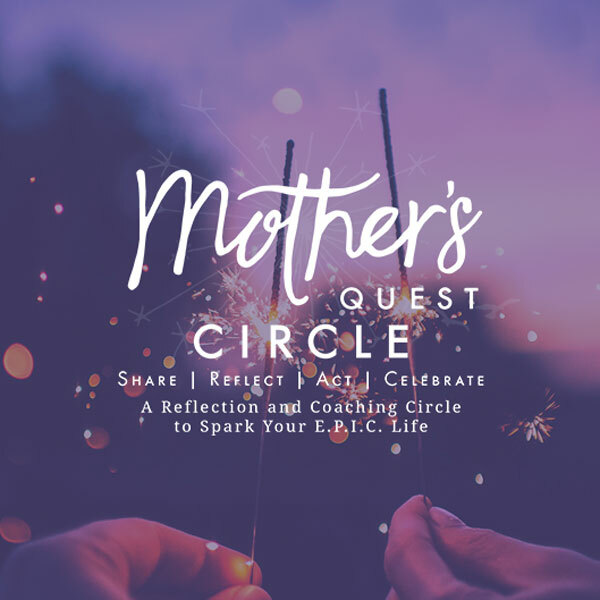 Learn about the Power of Reflective Circles and How They’ve Changed Me by reading here. To send your application, click on this link.